Okay, folks. I’m a shopping addict. So much so that I have seriously considered seeking therapy to cure myself of this addiction! 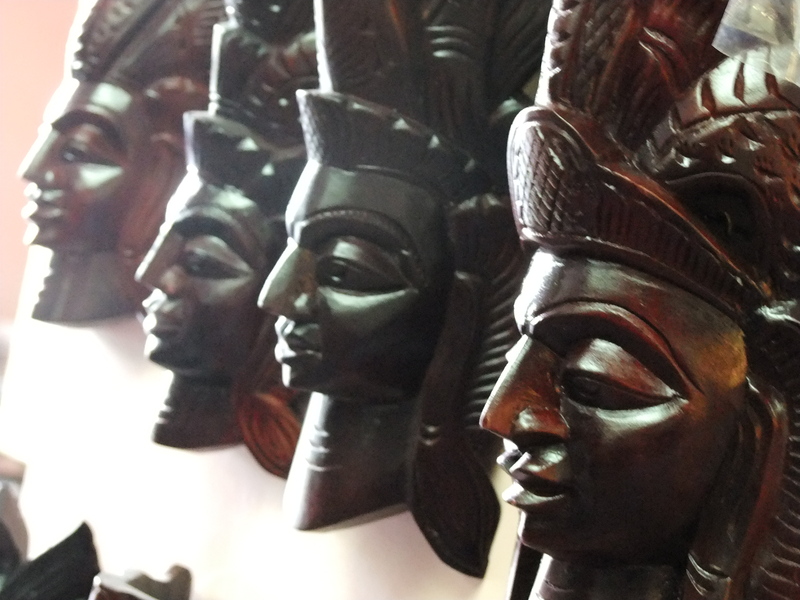 And Goa, I hear, is a shopper’s, especially street shoppers haven. Sarongs, funky printed tees, cottons pants, Goa markets are the best bets to find the best at inexpensive rates. 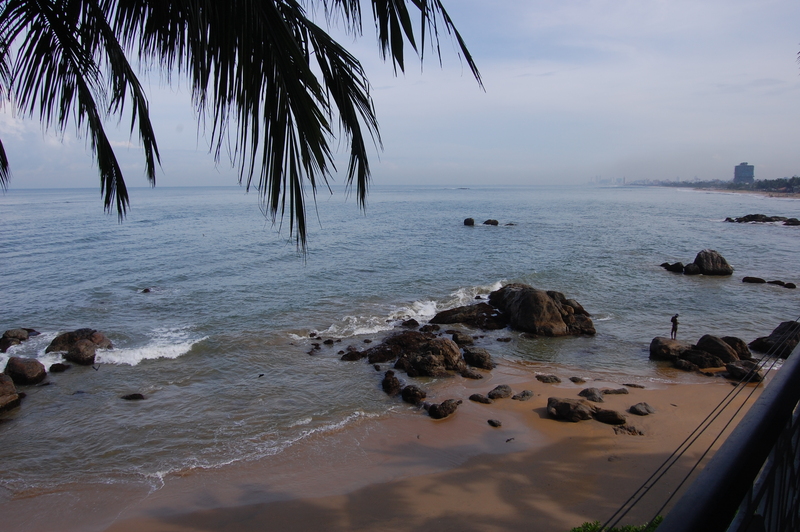 So, I took off to Goa, one fine night (took the late night train from Panvel) and reached my hotel – The Royal Palms, Haathi Mahal early morning. 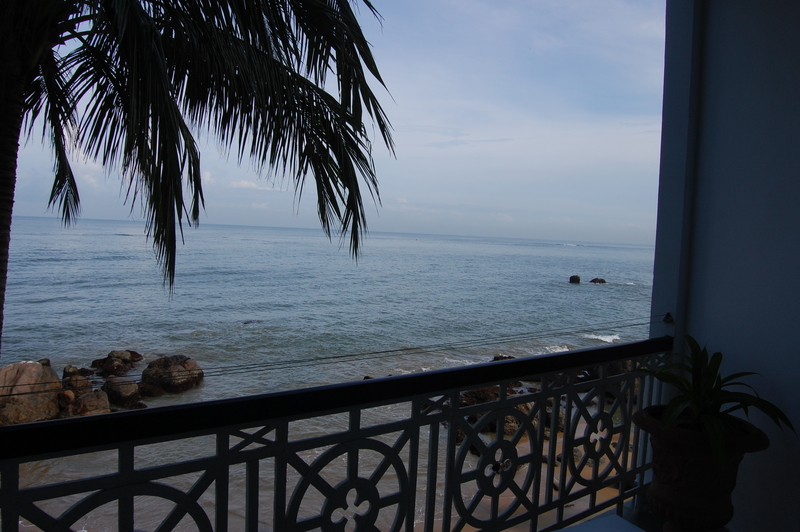 After a hurried breakfast, I slept till lunch-time before heading out for a stroll on a nearby beach. 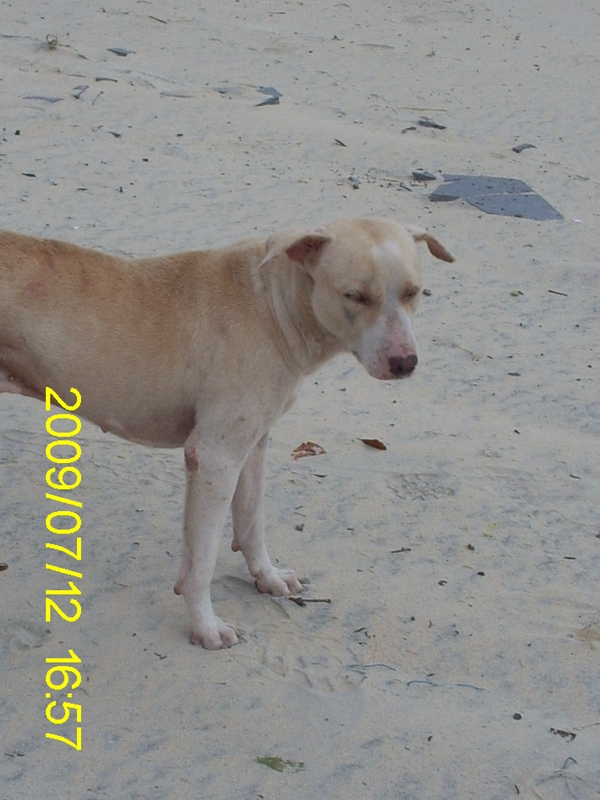 It was the monsoon period (mid-July) and there was just one dog (trust me, I’m not exaggerating) on the beach. I saw a few human figures disappear in the horizon. Obviously, they miraculously understood that it was time for the clouds to burst open, and I didn’t get the hint till the clouds started spewing water. 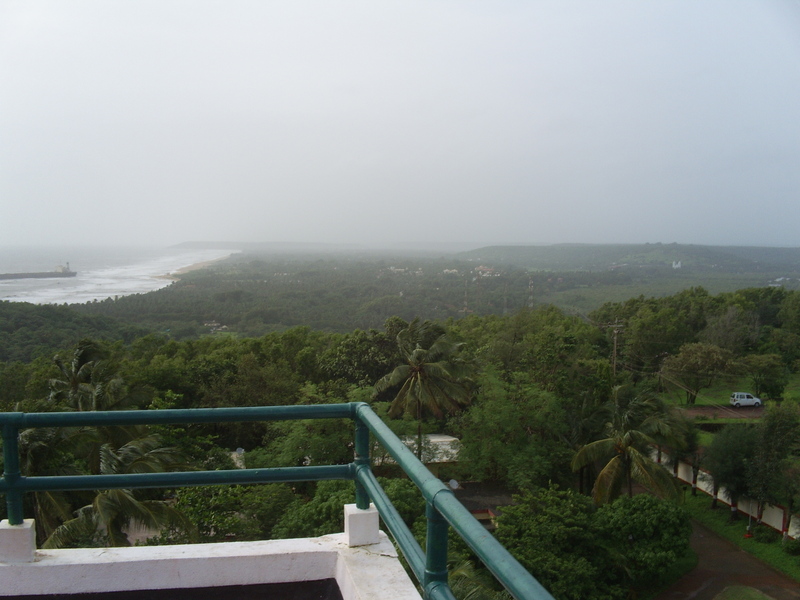 Lesson learnt: Goan beaches are best stayed far away from during monsoons. The tide was so high, even the itsy-bitsy adventurer in me couldn’t imagine fooling around with the ever-rising waves. I ran back to my hotel, changed, called for bhajias and pakoras, watched some TV and then ventured out for a stroll in a couple of hours. He drove moi to Big Foot, at Salcette, South Goa. “Must see, madam,” he insisted. Honestly, I was more interested in shopping, but I thought that could wait till early evening and gave in. So, Big Foot is this arty place where old Goa has been brought alive. The fee is nominal, and at the entrance, girls do a little aarti and put a tikka on your forehead. Cool! 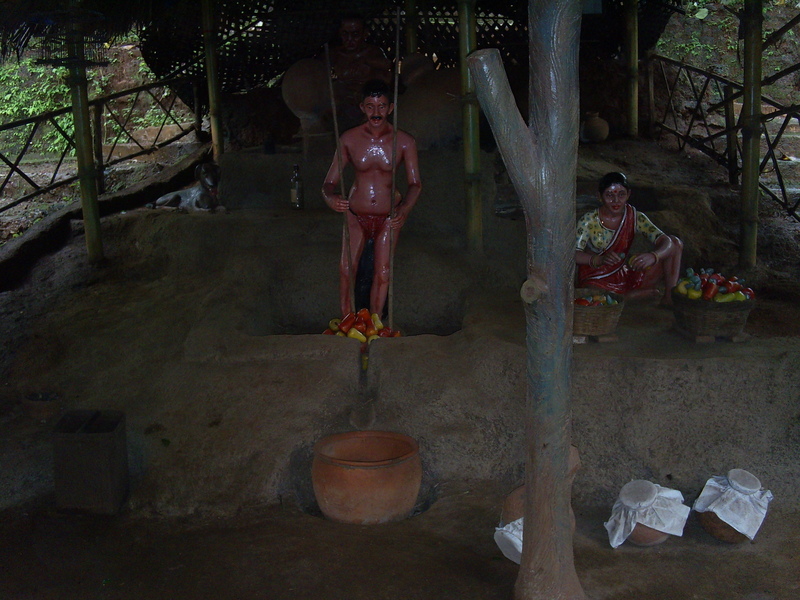 One level has life size images of how people in old Goa dressed, their homes and how they made Feni (cashewnut liquor). 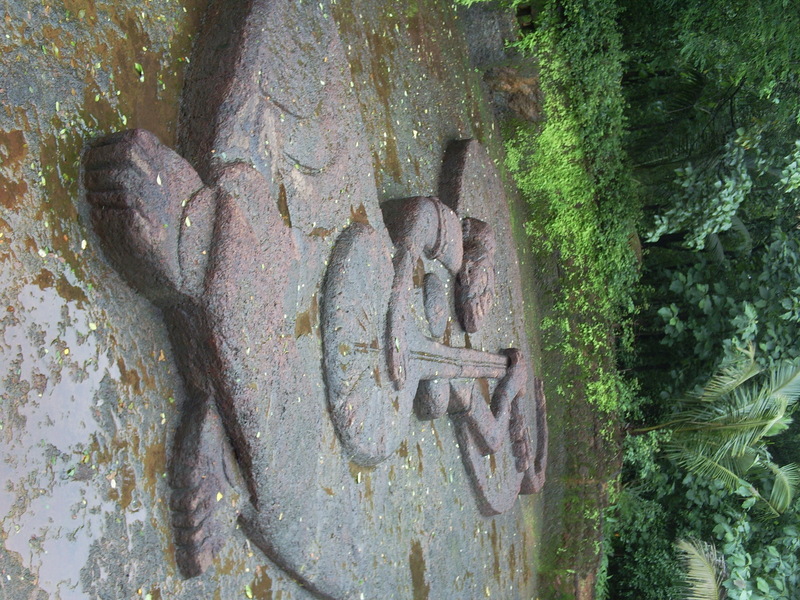 A giant stone carving of Mirabai in one end of the theme park is another attraction. Once I stepped out, he gave me a list of places to visit. I cut him short and told him to just take me to the ever so famous street shops in Goa. To my horror, he said that since it was monsoon, there was no market as such and the night market would be back post monsoon only! It took a while for the news to sink in and seeing my distressed face, the driver promised to show me the “actual Goa which is more than just shopping.” Okay, I said, when I recovered my hearing sense again. Not many Goa visitors even know about the existence of this mini-zoo. 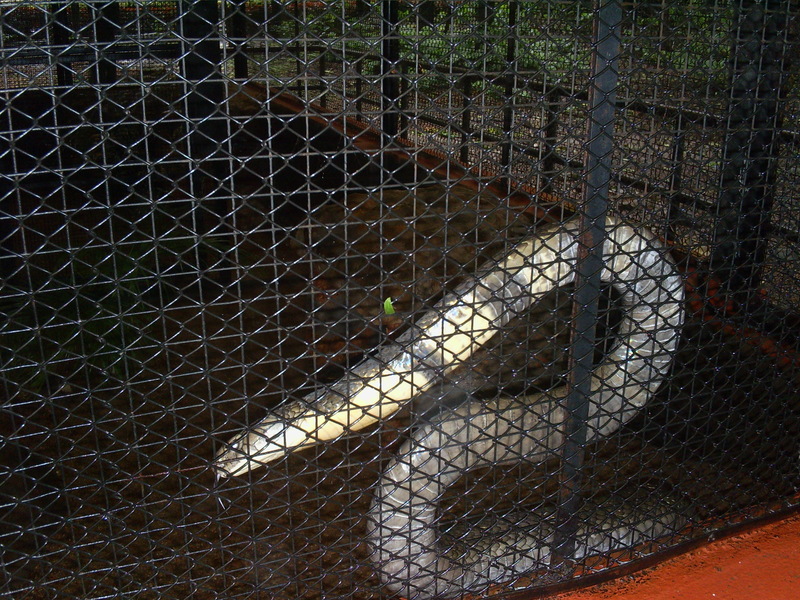 It’s 38 kms from Margao and there are ample deer, elephants and snakes in this zoo. 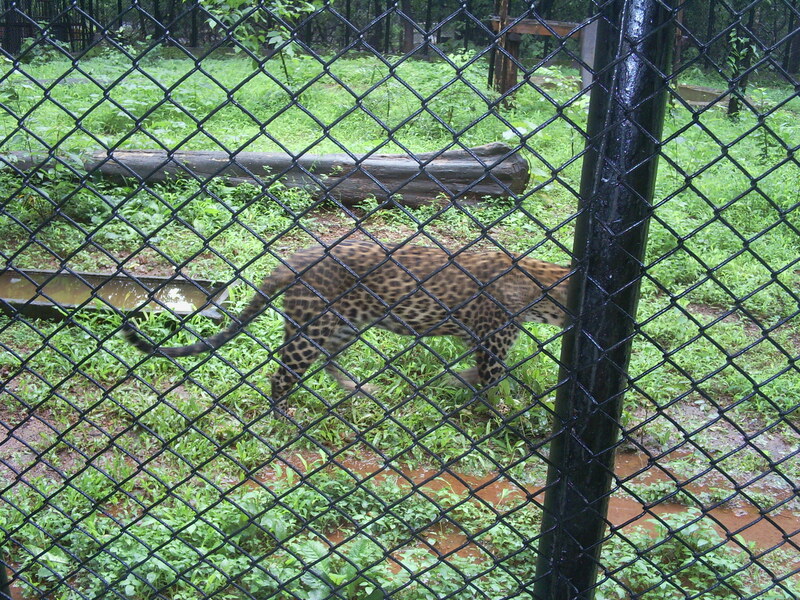 I even came across a caged cheetah in the premises. The area is sprawling and well maintained with lots of flora and fauna for city bees to absorb. Just for the record, the zoo has at least 20 caged boxes of different kinds of snakes.. which according to me is ABSOLUTELY DISGUSTING but MOST AMAZING for snake lovers (which clearly, I am not). Late in the afternoon we drove to Aguada Fort and the lighthouse alongside. 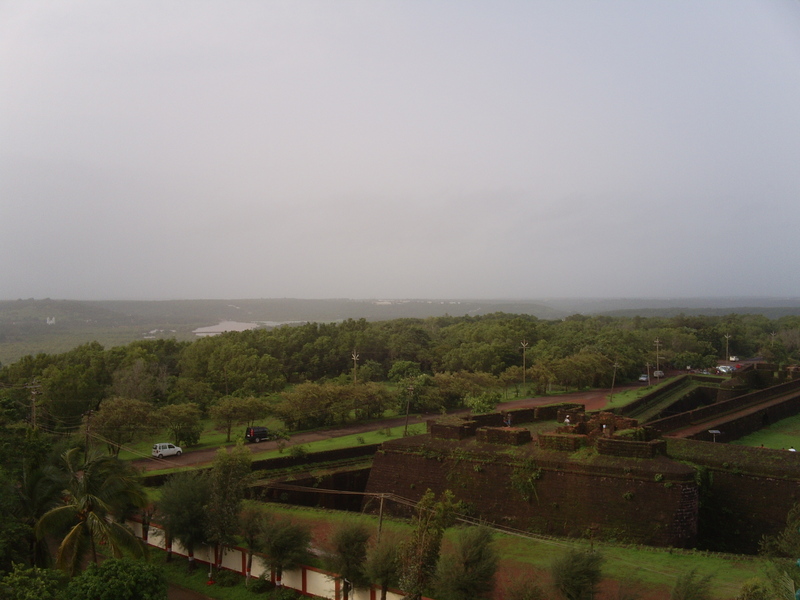 Aguada Fort, FYI, is the same fort where Aamir Khan and gang rest their buts on, in the movie Dil Chahta Hai. The fort is still as fabulous as it was in the movie, years back. If you happen to go there, also climb up the lighthouse. The view from atop is amazing and the wind just threatens to push you away, so be careful too. 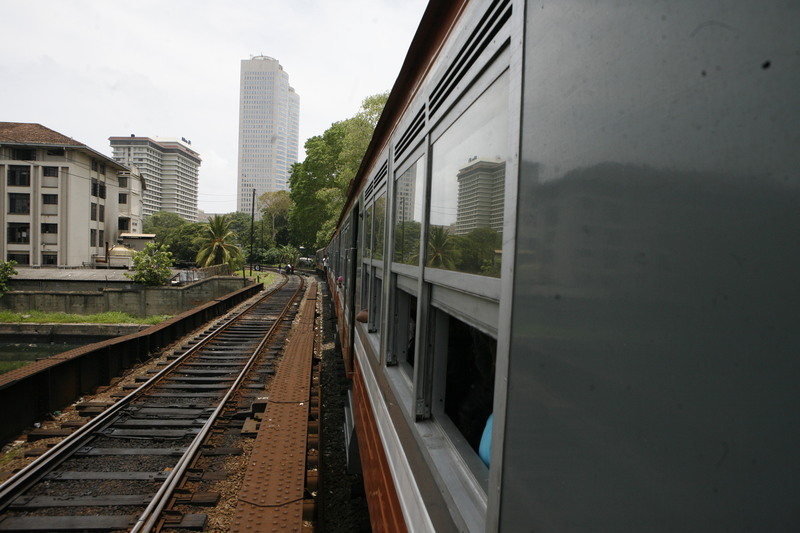 Colombo has a lot to offer to shoppers, so keep at least one day aside for shopping. Peta, the street shopping haven, is at Colombo city. 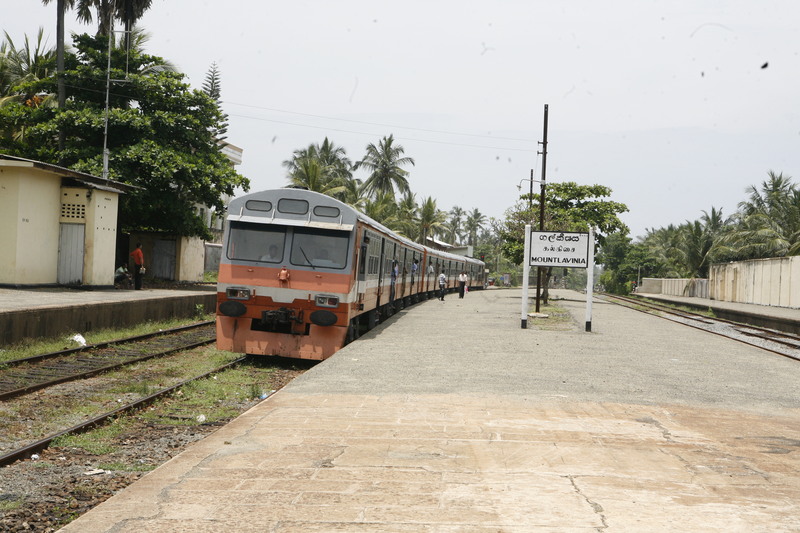 It’s a five minute walk from Colombo city railway station. Ask for directions along the way. In fact there are tones of street stalls (like the Colaba street market), selling belts, wallets, tops and the like on the way too, so ditch the auto and stroll along. The rates are dirt cheap but you may not find too much variety in terms of fashion. Cotton skirts and shirts for kids (aged 3-5 years) are available for as little as 50 Sri Lankan Rupees (SLR). That makes it 25 INR! No need to bargain, right? Again, the finish is not great, so no matter how hard you look, every piece will have strings of thread hanging loose or a stitch that was not right. Luckily, we chanced upon an export store, stacked with tones of dungarees for 250 SLR (125 INR). I bought a beige cotton pair. But there were variants in denim and corduroy as well. And high-waist multi-coloured shorts. Apart from this, we didn’t get lucky! House of fashion: Must visit store. The best part is that there is a currency exchange counter at the store itself. Clothes for men, women and kids, kitchen items, show pieces, wallets, cuff links, bags, laptops bags, jewellery, toys, footwear, House of Fashion has it all. And you’ll probably get the most ‘original fakes’ here. I got a pair of LV cuff links for 600 SLR (approx). The labels of tops were holed through… just in case you’re looking to gift stuff from here. 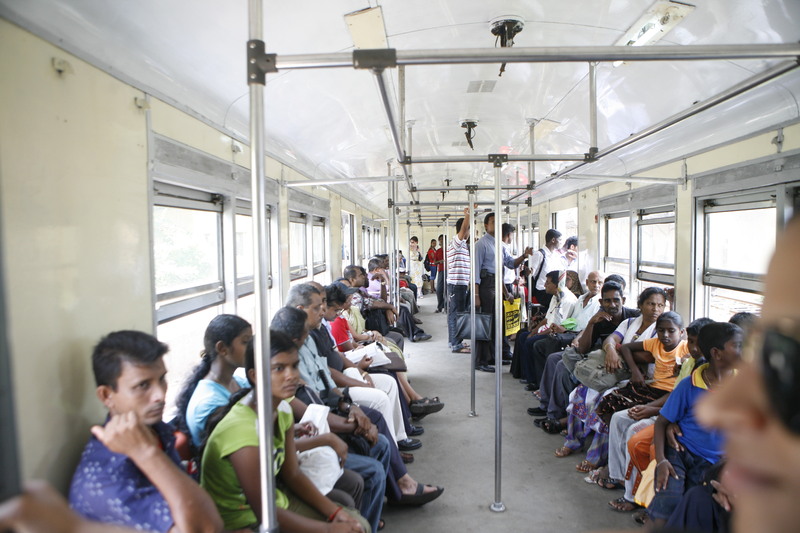 Address: 28, R. A De Mel Mawatha, Colombo 5. 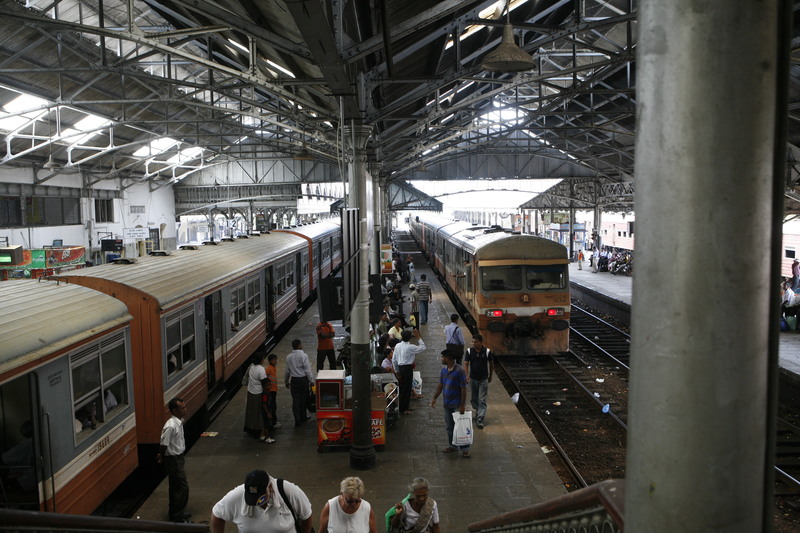 Odel: One of the first malls in Colombo. It’s pretty much like our Shoppers Stop outlets, with clothes, shoes and jewellery to offer. CAUTION: I bought a stunning necklace, to gift to a friend. I paid around 500 INR for it and the chain, originally golden in colour, turned black, within 15 days. Sniff, sniff. 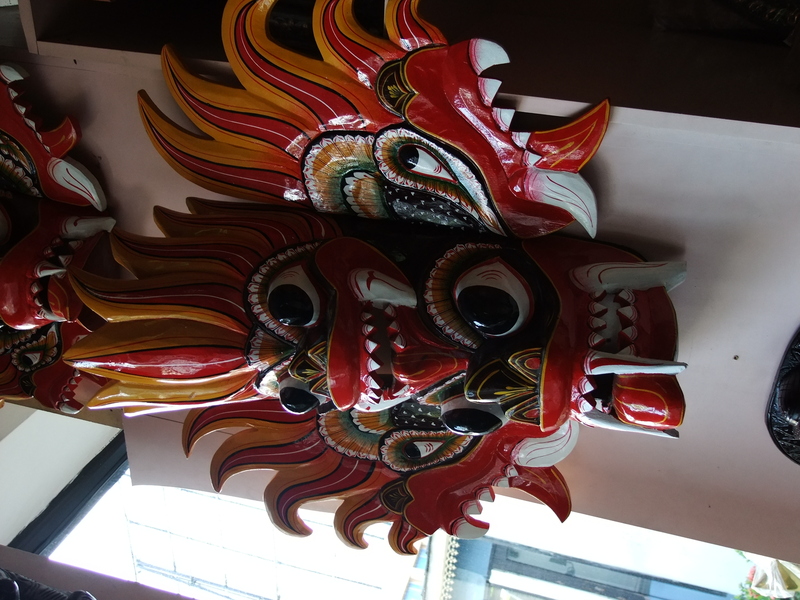 Lakmedura: Visit for masks, keychains, T-shirts and other souvenirs. 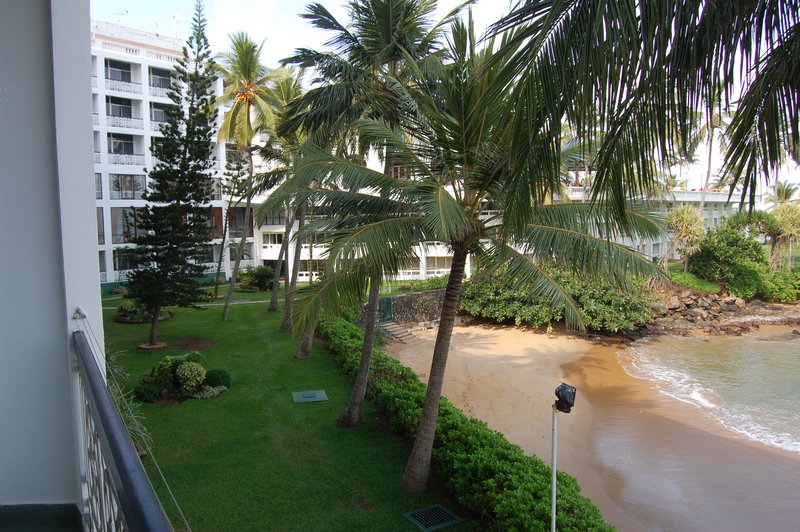 The best thing about my l’il trip to Sri Lanka was the view from my hotel room, Mount Lavinia Hotel at Mount Lavinia. There are some who scout for the most inexpensive hotel rooms, and though I’m all for a comfortable stay, I don’t believe in splurging on five stars either. A decent hotel will do. But with a view like that this (check pictures), I wouldn’t mind shelling out those extra bucks. We started at awesome, then realized it was breathtaking and by the time we moved out, our choice of adjective for our room with a view shot up to ‘out of this world’. It’s been a month since I returned and I still have occasional dreams about the view from my hotel balcony. Sigh! BTW, it’s purrrrfect for honeymooners.